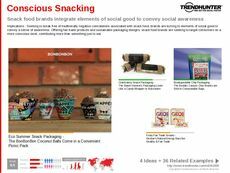 Find Better Ideas, Faster ® with a custom eco packaging trend report, our PRO Dashboard and 80+ categories of premium trend reports. 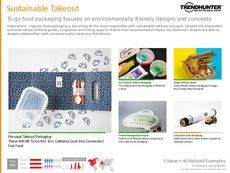 With an emphasis towards both the environment and smart design, Trend Hunter's Eco Packaging Trend Report focuses on the latest examples of product packaging with an eco-friendly approach. 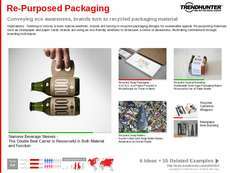 Our data-driven findings cover new approaches to packaging for everything from alcohol to groceries including cardboard wine carriers, plant-based biodegradable plastics, plantable seed pouches and more. 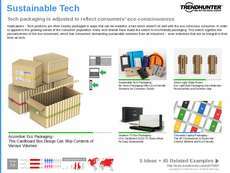 Our research is ideal for readers concerned about their personal environmental impact, and who are looking to educate themselves about the latest sustainable packaging designs. 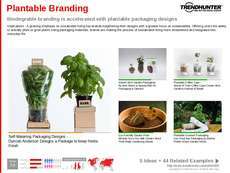 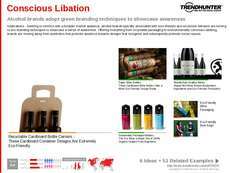 This collection of eco-packaging trends are also useful for professionals looking to connect with an eco-conscious consumer base by utilizing environmentally friendly packaging. 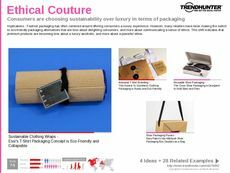 Featuring the latest trends for eco-friendly product packaging, the Eco Packaging Trend Report will give readers the resources they need to start innovating and leading within this realm.